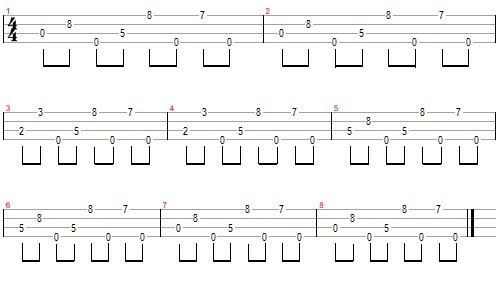 Even on guitar, this riff is a real finger-twister. Even Slash himself had trouble with this one. It took him a number of retakes in the studio before he could get it right. Transferring it to the uke certainly doesn’t make it any easier. Gio Gaynor struggles with it in his version and I’ve struggled to play it too. I’ve tried to minimise the amount of jumping around you have to do but it’s still very tough to play. Best of luck to you if you decide to take it on.